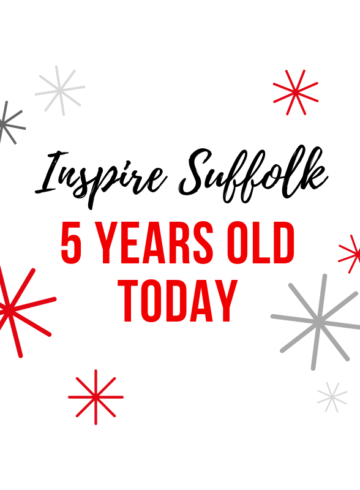 Celebrations are in order for Inspire Suffolk – we turn 5 years old today! 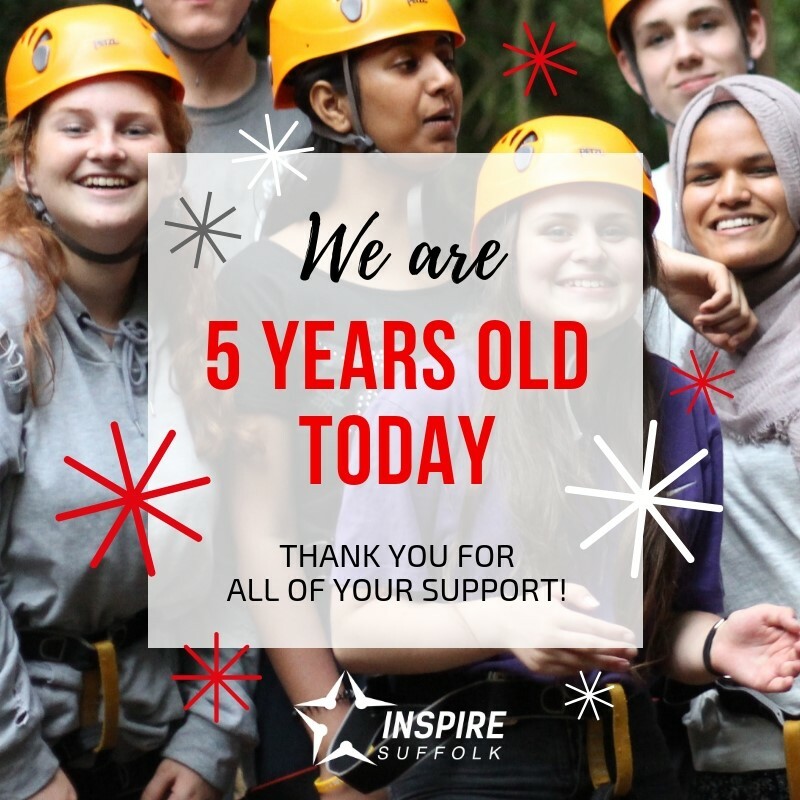 That means we have supported thousands of young people and children in the county onto positive futures, all with your help! It has been a fantastic journey so far and we can’t wait to see what the next 5 years bring. Bring it on! Take a look around our website if you’d like to support our work, find out more about who we support, attend our events and more! 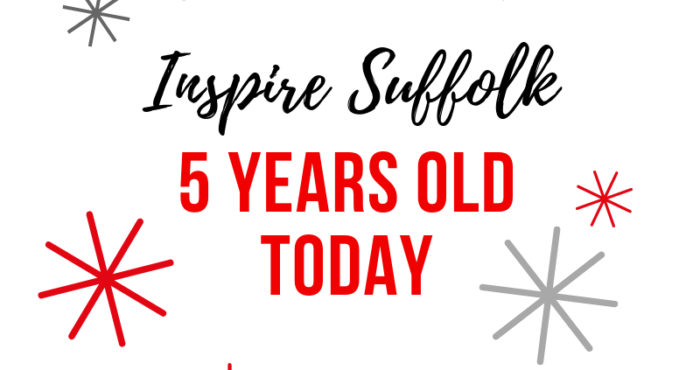 Enquire about: We are 5 years old!